The guests from HFMA arrived at the swish Hilton Reading Hotel in eager anticipation of a fun-filled and frenzied Corporate Race Night and Quiz evening, Team Challenge Company style. As the pre-dinner drinks came to a finish, the tensions began to build to an all-time high; the mighty Corporate Race Night and Quiz was about to commence. The group competed across 10 separate tables, during a sumptuous dinner in a private suite, with each team battling it out for as much fun money as possible in a bid to walk away winners of the much-coveted Team Challenge Winners Trophy 2016. The tables quickly chose team names, and so it was the Team Happy, Fiddlers, 36, Not Toff Enough, Oxford, Tasty T, Who Ate the Horse, HFMA Under 12’s, CS United who stepped up to the challenge to compete for the top prize. Let the fun gambling and games begin...! The event kicked-off with the ever-challenging Hit or Miss music round, then into Races 1 and 2 and Bonus Movie rounds, which saw Fiddlers storm into an early lead, closely followed by Oxford! The teams had soon settled into their money making stride ...well all apart for the poor 36 ! The hilarious quiz action continued into more fast and furious racing entertainment, where some teams fared slightly better than others some went zero to hero in double quick time ! Poor Not Toff Enough struggled throughout, and rumour was that they were only here for the beer. The tension was huge as money changed hand over fist and all was to be won and lost on each highly competitive race. The hugely difficult though immensely entertaining Name That Tune round and then the highly hilarious Ladies Race brought the event towards its almighty finale, with Team Horse storming through the money pile, though it seems there may have been insider dealing! With Alison and Jo spurring their team of Horses on towards victory (not to mention offering bribes of Food for the Boys! ), the nerves flowed through the room as the teams found out who would be battling it out for the Team Challenge Company Winners Trophy, and who would be hiding to avoid the embarrassment of taking home the Wooden Spoon. The fast-paced and frantic final Top 3 teams competed in Animal Racing which saw the lead change no fewer than three times and this Grand Finale would determine the final result of the Race and Quiz Night with all teams straining every muscle in fast paced head to head racing - just look at those photos! The 36 continued their unfortunately abysmal run of gambling form and finished well behind the Oxford team, picking up the Wooden Spoon for their crazy efforts on 00 quid! Only one team could come out on top. Consistency shone through, and The Horses stepped up at the final hurdle pulled it out of the bag to claim a sensational victory and walk away with the Team Challenge Company trophy. 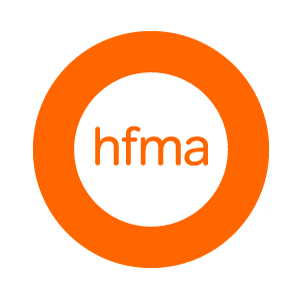 The Executive Race Night and Quiz had once again been a huge success for HFMA, with all in attendance thoroughly enjoying a spectacularly hilarious evening of entertainment. A big shout out and thank-you must go to Alison and Jo for all their efforts and hard-work that went in to making their Corporate Race and Quiz Night such a memorable one, HFMA group were once again a real pleasure to work with, and our enthusiastic team hope to see you all and entertain you all again soon.